Udaipur stole the show with highest number of luxury hotels in Top-15 in the 2019 TripAdvisor Travelers’ Choice awards. The top spot in India in the Luxury Hotel category was awarded to The Oberoi Rajvilas in Jaipur. 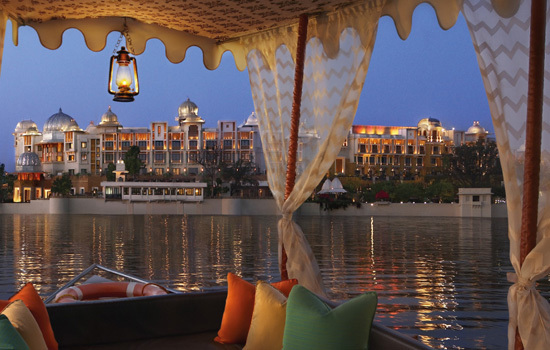 The Leela Palace Udaipur ranked 9th on the list of top luxury hotels in India. Taj Lake Palace, Udaipur featured at the 11th position while The Oberoi Udaivilas was ranked 12th on the list. These luxurious hotels are known for their sense of royalty, breathtaking views and services, par excellence. Trivik Hotels and Resorts, Chikmangalur took the second spot on the list. Oberoi Amarvilas (Agra), Rambagh Palace (Jaipur) and The Oberoi Cecil (Shimla) capped off the top-5 in the same order. The annual awards are based on reviews at TripAdvisor from travelers from around the world. TripAdvisor is one of the world’s largest travel site with reviews, photos and comments from travelers around the world.